Serbian professional tennis player Novak Djokovic (world No.1) defeated Rafael Nadal to win his 7th Australian Open Men's Singles title at Melbourne. 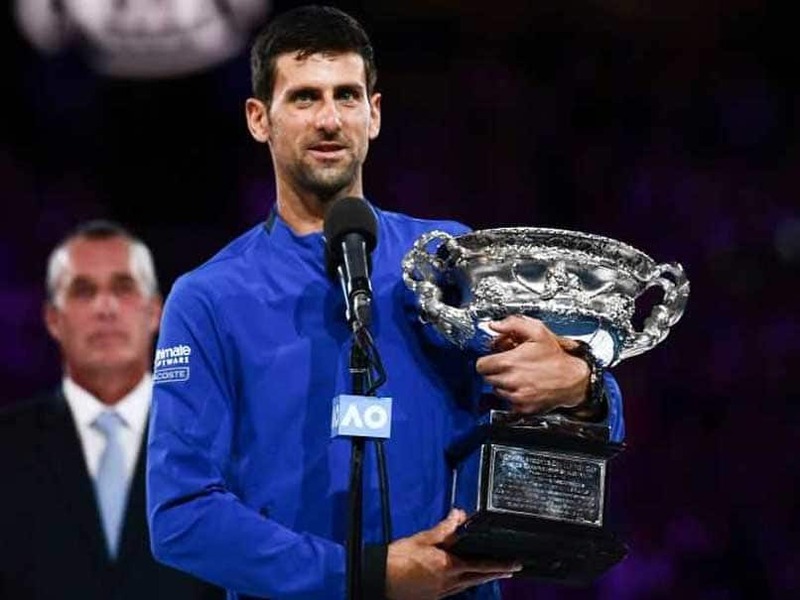 The 2019 Australian Open (107th edition) was a Grand Slam tennis tournament that took place at Melbourne Park (Australia) from 14th to 27th January 2019. Japan's Naomi Osaka has won her maiden Australian Open Grand Slam Singles title 2019 at Melbourne, Australia. India's Kartik Sharma has won the New South Wales men's Amateur Golf Championship in Australia. Kartik (from Gurgaon) win over Australia's Nathan Barberie in the scheduled 36-hole final to emerge as champion. According to Brazil’s Minas Gerais state civil defence agency spokesman, the death toll from a burst tailing dam at an iron ore mine has risen to 58 people with 305 people still missing. Earlier, the dam collapsed in Minas Gerais' Brumadinho municipality, triggering heavy mud floods. He also inaugurated the super speciality blocks of Madurai's Rajaji Medical College and Thanjavur and Tirunelveli Medical Colleges through video conferencing. According to Minister for Railways Piyush Goyal, India's fastest indigenous train which will run from Delhi to Varanasi has been named as 'Vande Bharat Express' (earlier, Train 18).